Despite extensive labor shortages, inflationary pressures and talk of a trade war, the economy is on a healthy track. 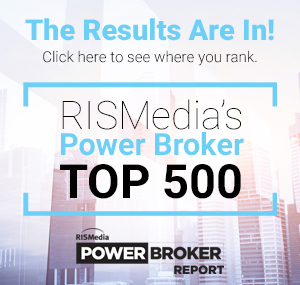 In housing, however, the momentum is not overshadowing scarce stock—a critical issue for 71 percent of Power Brokers, according to RISMedia’s 30th Anniversary Power Broker Report & Survey. The drought has been a pressing problem, and is deepening heading into spring—February inventory was at 3.4-months supply, and down 8.1 percent year-over-year, the National Association of REALTORS® (NAR) reports. In addition to constrained inventory, competitive firms are a concern (cited by 16 percent of Power Brokers), as well as recruiting (9 percent) and rising interest rates (2 percent). Just 1 percent are being challenged by economic uncertainty, and less than 1 percent are being challenged by legislation (housing-related and/or taxes). With challenge, however, comes opportunity—and there are several. Thirty-eight percent of Power Brokers believe first-time homebuyers/millennials are their best bet, followed by move-up buyers (26 percent), new construction (12 percent), the luxury market (12 percent), relocating buyers (6 percent), investment buyers (1 percent) and all-cash buyers (1 percent). First-time homebuyers, in particular, are a promising prospect. Millennials account for 36 percent of purchases, according to NAR—beating out every other generation—and they are the chief demand-drivers in the market. The big challenges in our industry are untrained agents and low production, but this creates an excellent opportunity for professionally trained and experienced agents [to win business]. Improving the training of our agents is part of our daily culture. – Marti Hampton, Broker/Owner, RE/MAX One Realty, Raleigh, N.C. The recruiting competition and pressure is a challenge, but we’re responding by constantly upping our game. We’ve changed our value proposition by providing far more administration and marketing assistance to our agents so they can focus on business generation and being belly-to-belly with clients, which increases transactions and profitability. – Todd Hetherington, Founder, Co-Owner & CEO, NM Management, Inc./CENTURY 21 New Millennium, Washington, D.C. Inventory. Sellers are facing capital gains taxes versus the option to stay and remodel their current home. Also, there’s a dramatic lack of inventory in the move-up market. – Mark McLaughlin, CEO, Pacific Union International, San Francisco, Calif.
We have low inventory, but I view that as an opportunity. We have a great deal of demand, and homebuilders are building in our market. We’re focused on educating our agents on new construction so that they’re well-versed. Rising rates aren’t a concern yet, but we’re definitely watching price increases. – Rei Mesa, President, Berkshire Hathaway HomeServices Florida Realty, Sunrise, Fla.
It’s becoming increasingly difficult to provide the level of service we want to give agents with declining commissions and rising agent splits. We’re constantly searching for ways to increase our efficiency, so that we can afford to remain price-competitive with both clients and agents while continuing to provide the kind of service that helps us stand. – Joe Rand, Managing Partner, Better Homes and Gardens Real Estate Rand Realty, Nanuet, N.Y.
All of our energy is on getting new listings. In this market, it’s not enough for buyers to be preapproved. They must get fully underwritten ahead of time; agents must ensure that buyers can pay the difference between the appraisal and asking price if it comes in low. – Lennox Scott, Chairman & CEO, John L. Scott Real Estate, Seattle, Wash.